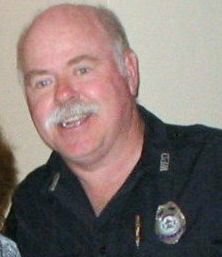 On December 26, 2010 in the midst of blizzard conditions, Woburn Police Officer Jack Maguire was shot and killed by Massachusetts Parolee Dominic Cinelli, who was at a Kohl’s Department Store trying to rob the jewelry counter with two accomplices. Maguire took four bullets, but before falling from the fatal injuries, he shot and killed Cinelli. 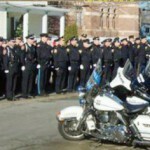 Woburn Police captured two other suspects involved in the planning and getaway with Cinelli. 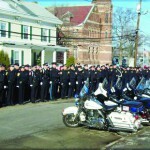 They were arraigned and initially held without bail. 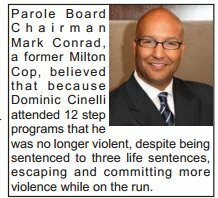 Senator Baddour told The Valley Patriot that he is calling for the immediate resignation of the parole members who were involved in setting Cinelli free, despite his long history of violence in and out of prison. According to a study done by The Urban Institute on paroled inmate recidivism rates (those who commit crimes while on parole) in Massachusetts, inmates who served their entire sentence before being released were less likely to than those released on parole. “The recidivism rate (45 percent) for inmates paroled to the street was significantly higher than the rate of inmates released to the street via expiration of sentence, (36 percent)” the report showed. “The overall three-year reincarceration recidivism rate among the 1,786 males released from the DOC (Department of Corrections) in 2002 was 39 percent…” the report concluded. 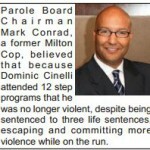 “Despite these staggering failures of the parole system in Massachusetts,” Baddour said, “this parole board looked at the history of Cinellli’s violence: attempted murder and even escape and decided to let him loose on the general public anyway. That’s just unacceptable. Our priority in government is to protect the public, first and foremost,” he continued. Baddour said he and Senator Bruce Tarr are working on a Parole reform bill. “This is a serious problem. , A life sentence should mean that the criminal spends the rest of his life behind bars. 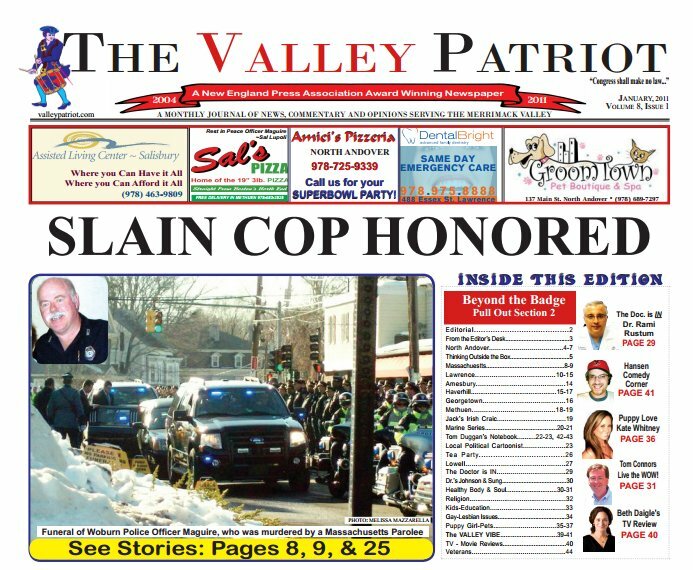 Anyone violent enough to actually get a life sentence in Massachusetts should not be getting released on parole, it’s that simple,” Baddour told The Valley Patriot. Baddour also said that the bill he and Senator Tarr are working on will include a provision requiring the signature of the governor before any prisoner with a life sentence can be paroled or let out for any reason. The Methuen Senator also said that the District Attorney’s who prosecute such violent offenders would be notified by the parole board when considering release. 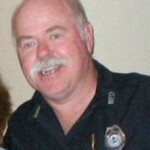 “There needs to be notification sent to the DA’s office whenever a violent offender like this is coming up for parole. That didn’t happen here. There needs to be a certification letter signed to show that that the D.A. 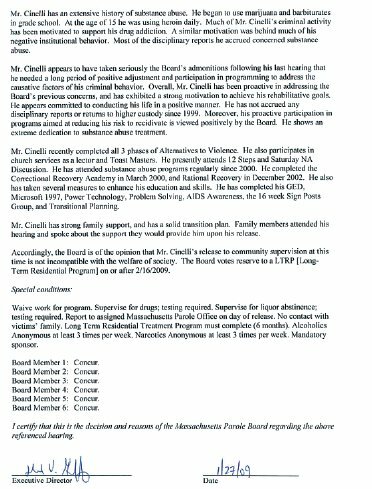 received notification of a parole hearing for these kind of violent offenders and the governor should have to sign off on it if the parole board decides to release someone with such a violent past. 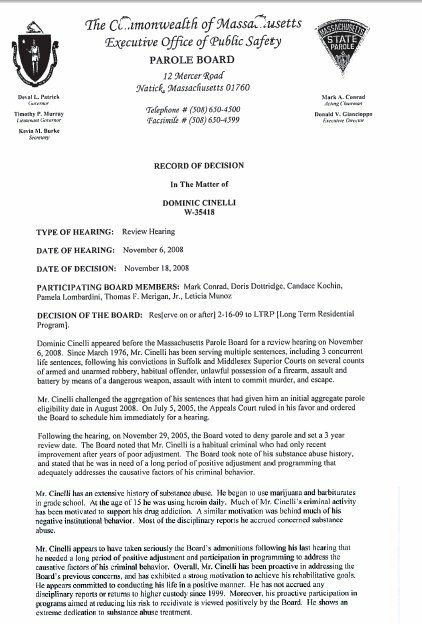 But a few short years later the Parole Board decided that Cinelli’s release “is not incompatible with the welfare of society,” citing a myriad of “programs” that allegedly taught Cinelli how not to be violent. The Board also took into account his good behavior while in prison as some kind of indication that he was no longer too violent to walk the streets. The decision was unanimous by Board members Mark Conrad, Doris Dottridge, Candace Kochin, Pamela Lombardini, Thomas Merigan, Jr. and Leticea Munoz. 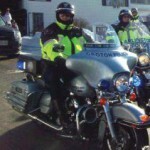 Governor Deval Patrick who appointed the members of the Parole Board, has a checkered past himself when it comes to support for Law Enforcement. 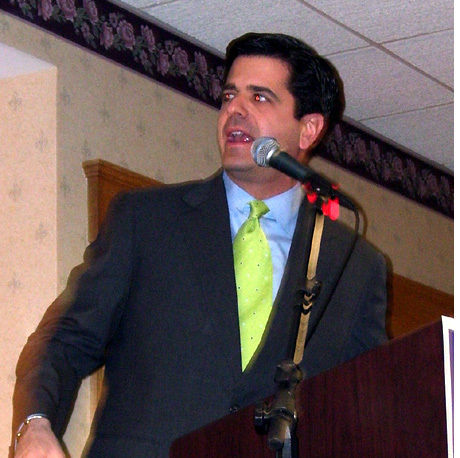 Patrick voluntarily defended a cop killer in his private practice as an attorney prior to becoming governor. 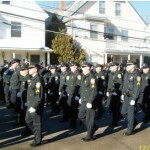 Patrick also promised to put 1,000 more police officers on the streets to protect the public in 2004 when he first ran for governor and then cut funding for community policing, laying off nearly 2,000 cops. 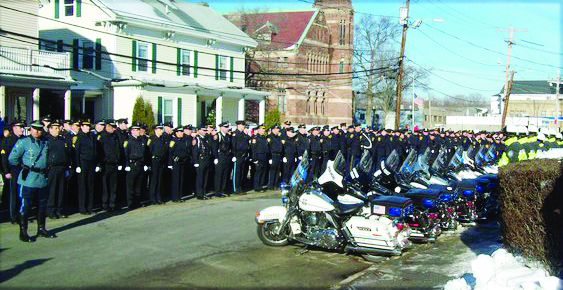 The governor took more cops off the streets by instituting a “civilian flag man” program on construction jobs replacing thousands of police officers with civilians, some of whom have been proven to have criminal records. He has appointed judges and parole board members who are hostile to law enforcement, opposes the death penalty for cop killers and opposes a victims bill of rights. 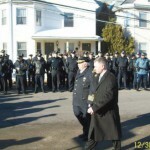 Police Officer Jack Maguire in Wilmington last month angering some members of Law Enforcement.